ARLINGTON, Va. – October 20, 2013 – Kerri Gallagher may have had the shortest trip from her new place in Rosslyn, Va., to the starting line of the 29th running of the Army Ten Miler. It’s a very short walk. But there is no disputing that the 24-year-old spent the shortest time out there on the 10-mile course of all the 12,070 women who finished the race this morning, a scorching 54 minutes, 56 seconds. 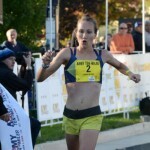 Or that she spent the shortest time covering the course than any other woman in the race’s long history, crushing Samia Akbar’s previous record of 55:25 set in 2009. In the process, the Matt Centrowitz-coached Gallagher defended her 2012 Army title and lowered her personal best by a minute and 13 seconds. Far behind her came two other local female athletes Elizabeth Maloy (56:02) of Washington, DC, and 2012 Olympian Julie Culley (56:13) of Arlington, Va. The top men, on the other hand, came from afar to continue a tradition of competing with the U.S. Army’s best. Since 2007, the Brazilian Army has pushed their American counterparts to the max, frequently dominating the top ranks. 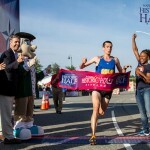 This year, the Brazilians made it a clean sweep, taking the first three places and taking advantage of a lack of Ethiopian depth which the Army Ten Miler typically draws. Solonei Silva led the charges in 48:04, trailed by teammate Paulo Paula in 48:06 and Frank Caldeira in 48:08 before American and DC resident Chris Kwiatkowski broke the Latin America streak in 48:17. The race was conducted under heavy security, post-Boston Marathon. But the fact that it was even held on its proposed course was a story in itself. With the Federal government shutdown affecting National Parks and affecting Miles 1 through 4 of the Army course, race officials were planning a re-route if Congress did not re-open the government. With the default looming on October 17 and Congressional leaders finally coming to terms that day, Army was spared a less-than-desirable backup course. The weather also cooperated for the 26,025 finishers, with cloudless blue skies and temperatures in the upper 40s warming into the 50s during the morning run. A light gusty wind kept the conditions from being described as perfect. But for the Brazilians, it was chilly. Silva, Paula and Caldeira all said they were cold until mid-race when the started to warm up. By that point, the three veteran marathoners (all sub-2:12) had answered the starting gun at the Pentagon, crossed the Memorial Bridge, circled the Watergate and Kennedy Center and headed past the Lincoln Memorial on Independence Avenue. They passed five miles in 24:11 as part of a 12-pack, and in the next few miles, the lead group trimmed to five – the three Brazilians, Kwiatkowski and Aron Rono. 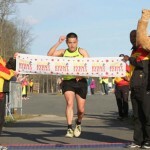 After eight miles, near the end of the seemingly endless 14th Street Bridge, the 24-year-old Kwiatkowski made his move. The Brazilians covered his move and slowly pulled away. At nine miles entering the Pentagon Parking Lot, Silva asserted himself into the lead and ran a 4:43 final mile to hold off his countrymen. All three said they are focusing on the 2016 Olympic Marathon in their home country. “In the last mile [Silva] felt tired and didn’t know if he would win but he was sure in the last 200 meters that he would win,” Pinheiro said. 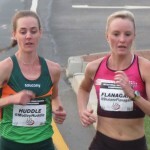 There were no such dramatics up front in the women’s race as Gallagher took control at two miles and did not look back. Culley was sailing toward a runner-up finish but Maloy began to have other thoughts. She did, with 400 meters to go. 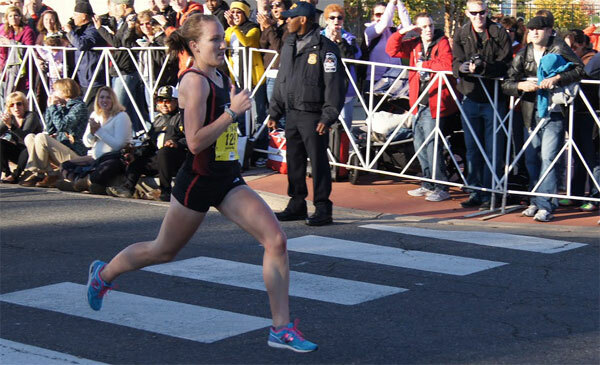 “Oh, I kinda felt bad [passing Culley so close to the end],” she added, giving credit to current Georgetown runner Kirsten Kasper for strong pacing. Kasper ended up fifth. While the Army Ten Miler is the nation’s second-largest and world’s third-largest 10-mile by finishers, the Army also had 19 locations overseas hosting official ATM sponsored shadow runs, more than 8,500 runners combined. The locations include Afghanistan, Cuba, Kuwait, Kosovo, Pakistan and South Korea. No prize money is awarded for the winners.